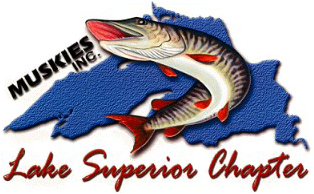 Welcome to the Lake Superior Chapter of Muskies Inc.
Division winners Russell Hill,Jr's Duane Hill master division,Cory Olson Men's, and Anita Doenz Womens. 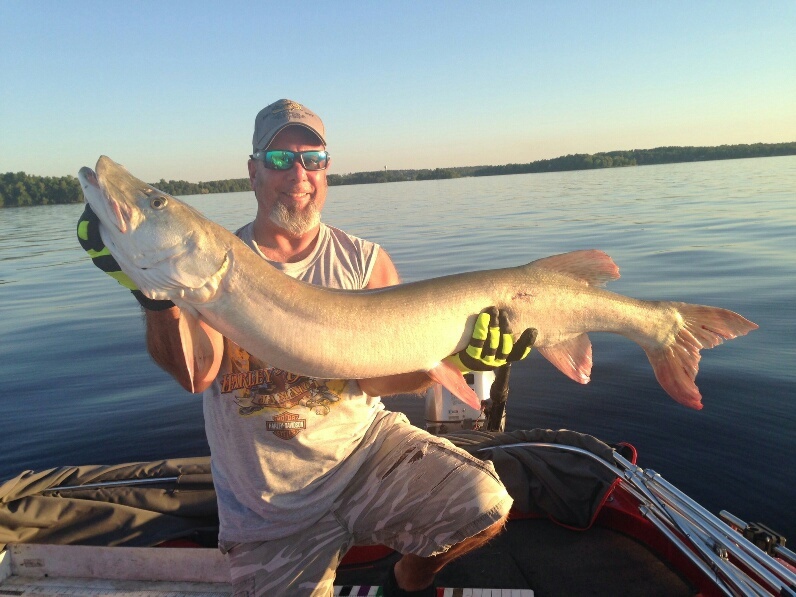 The members of Muskies Inc. are known as America’s most conservation conscious anglers and for good reason. 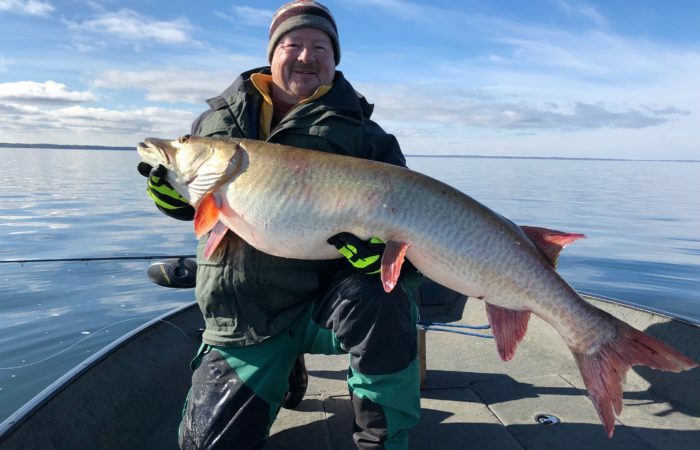 We are the first fishing organization to actively promote catch and release.We are also heavily involved in stocking, habitat preservation and habitat construction. 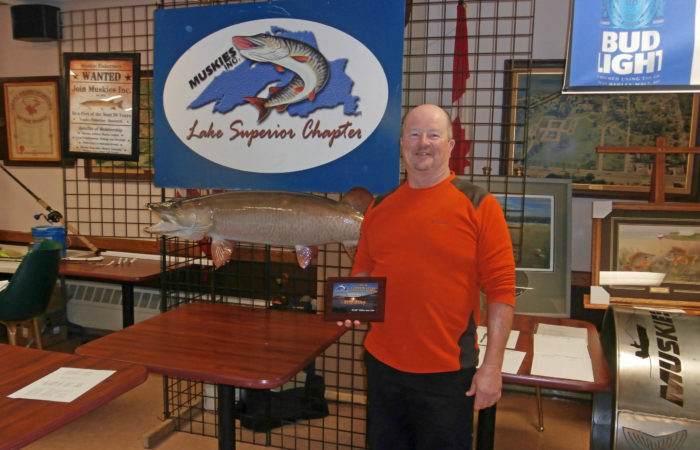 The Lake Superior Chapter is proud to be a large part of this organization. 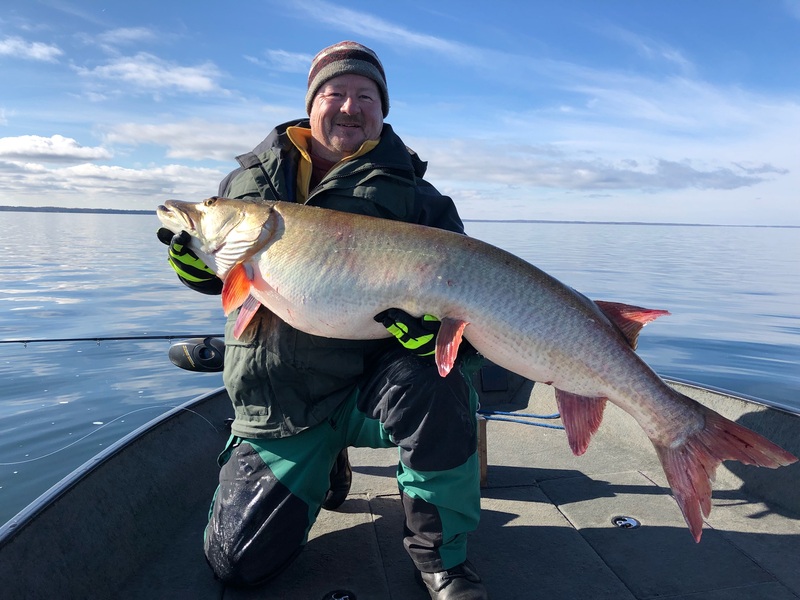 The Lake Superior Chapter of Muskies, inc. has worked in conjunction with the Minnesota and Wisconsin DNR on a number of projects. 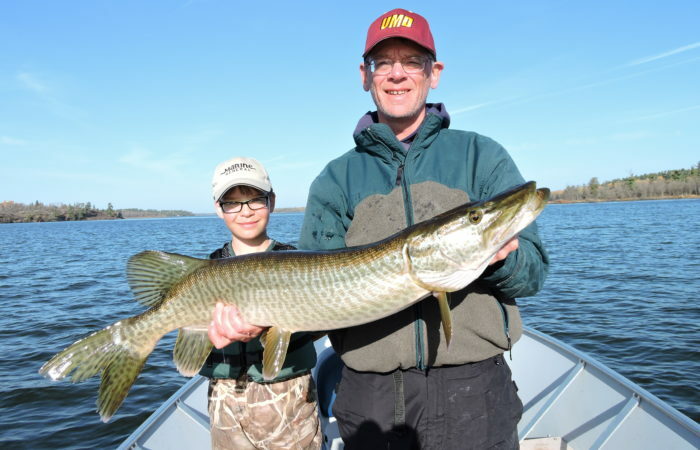 We have promoted local muskie fishing by helping the DNR stock muskie fingerlings in the St. Louis River Bay at the Boy Scout Landing. Members built and donated fish holding pens for the stripping of eggs to be used for stocking ponds. These were used in Island Lake in Pine County. 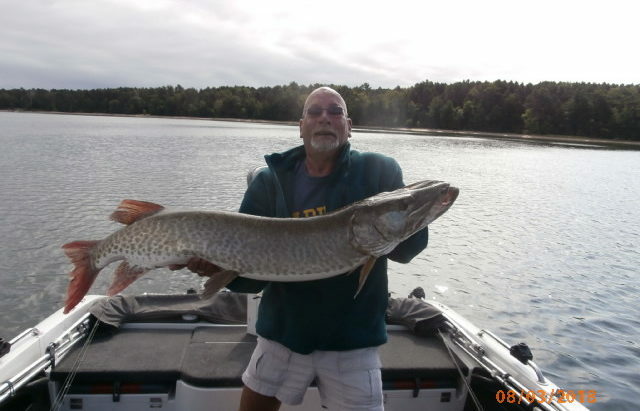 The Chapter donated funds for a shoreline restoration project on Island Lake in Pine County. 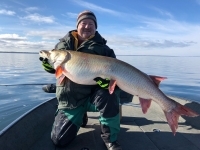 Several members have participated in surveys on Island Lake Reservior, the St. Louis River/Bay, and Leech Lake. We worked with the MN and WI DNR on placing education signs at the landings on the St. Louis River and Island Lake Reservior landings. 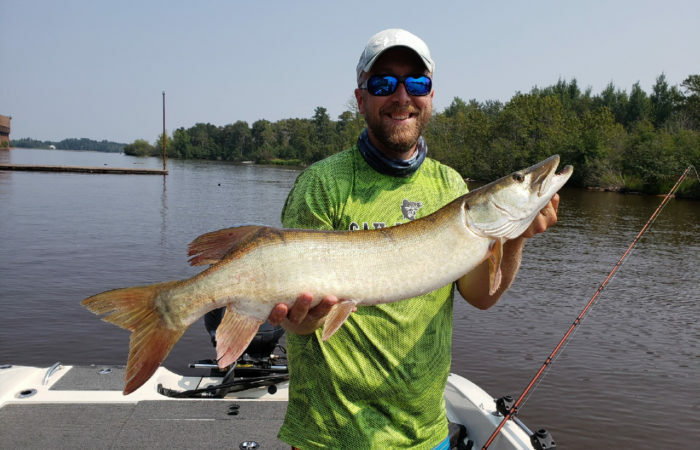 Several members participated in a youth fishing day held on the St Louis River and youth days on Lake Vermillion and Caribou Lake. 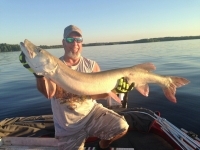 Members donate their boats and time to introduce some young fisherpersons to the great sport of fishing. 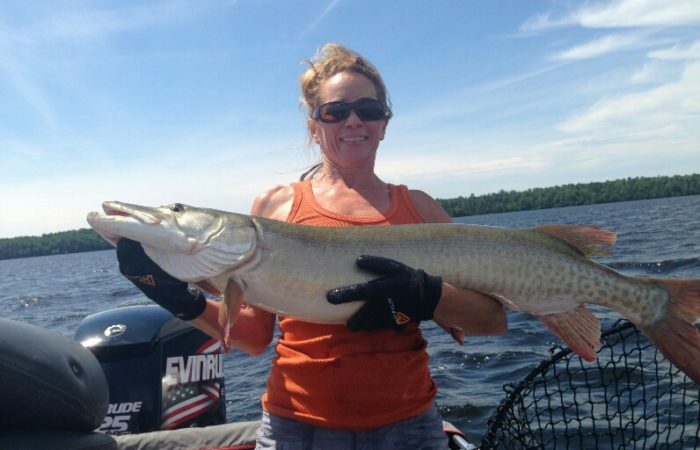 The chapter holds a “Take a Vet Fishing” day on the St. Louis River as well. So take a look around our website. If you’re interested in becoming a member, fill out the form and send it in we’d love to have you. If you have any questions, please do not hesitate to ask.